The hardware stores or home improvement stores are big specialized retail shops that offer construction and finishing materials, different equipment, as well as products for houses and gardens. 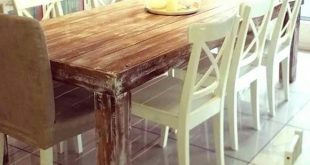 Modern retail trade of building and finishing materials was formed under the influence of the DIY (Do It Yourself) trend. This trend expanded after the Second World War when the scarcity of both experienced workers and funds for construction services did not allow mending the devastation of the war at a fast pace. In the 1970s, the idea of DIY stores as a consumer segment was further developed in the US market to replace existing trading options suitable only for professionals. In modern hardware stores and hypermarkets, household goods are presented for both general construction and repair works, as well as for decorating and repairing works of premises and gardens. Depending on the specialization of a particular distribution network and the store size, the range of products varies — fastening accessories, steel products, hand and power equipment, abrasives, electrical and plumbing wares, chemical materials, paints and varnishes, detergents, and garden tools. So, what are the biggest networks of hardware stores in the US today? This American trading network sells various building materials and different tools for repair works and is the largest DIY retailer in the world. 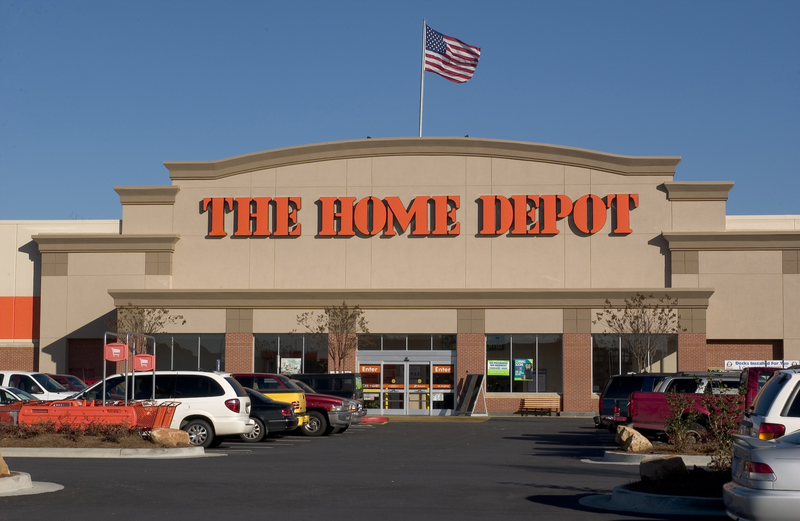 Home Depot has an annual turnover of $74.8 billion. The Company headquarters is located in Vinings, GA.
More than three hundred thousand employees work for this company at present. The chain operates 2,144 massive warehouses and stores in the US, Canada, Mexico, and China. Home Depot takes care of its customers who prefer to improve their homes and households with their own hands. Offering home improvement tools and materials, this trading giant promotes its interconnected retail concept. During the period of its development, the Company faced a rapidly changing business environment and harsh competition with similar companies. Also, their online store started to grow recognition among potential customers due to more competitive prices, transparency, and additional opportunities. Also, its marketing channels and communication points of interaction continued to change. Having a goal to compete successfully in the market, the Company management had to take measures to attract clients by various promotional activities, making the shopping process faster, especially during busy hours, and maintaining long-term emotional relationships with customers. They often receive comments like, “I spent so much money there that I didn’t have enough for my custom essay 🙂 At least my apartment will look fabulous.” During past decades, Home Depot has been successfully providing technical support to individuals and small business owners. That mostly includes constructing and remodeling works using items of high reliability. 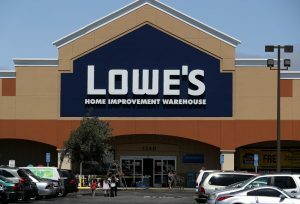 Lowe’s is an American retailing Corporation that owns a chain of 1,616,000 home improvement stores, found all over the US and Canada. The company was founded in 1946 in North Wilkesboro, North Carolina. Now, its headquarters is situated in Mooresville, North Carolina. Today, the Company’s turnover is $50.5 billion per year. Its trading services are offered to more than 14 million customers per week. Along with the regular products, material, and tools to buy, the Company also promotes services to contractors according to MRO (maintenance, repair, and operation), offering a wide choice of MRO products with a delivery to the site within one or two days. Using wholesale packages for contractors, Lowe’s can provide decent discounts on products that regular clients use most often, including nails, sealants, coaxial cables, and wiring materials. It is the largest non-public DIY chain of home improvement items in the US, which is inferior only to the Home Depot and Lowe’s networks in terms of wholesales. Today, Menards is a retail business with annual revenues of $7.9 billion, and its shares are traded on stock exchanges. 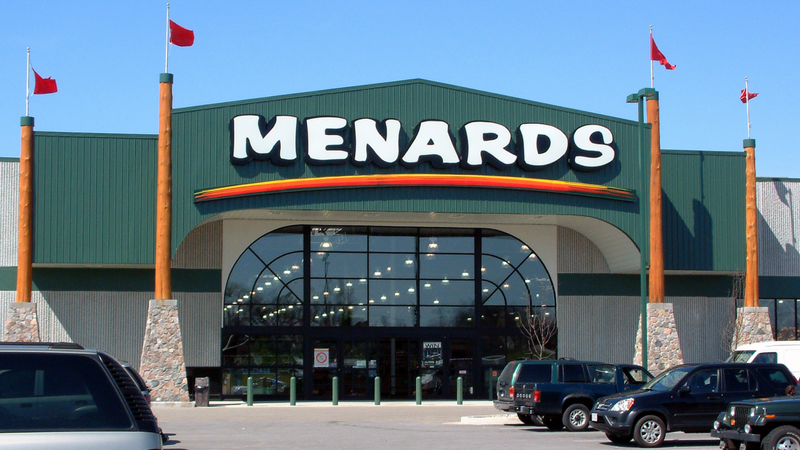 Menards stores were recognized as the most customer-oriented retail places. The Company is headquartered in Eau Claire, Wisconsin, and operates 305 stores in 14 American states. 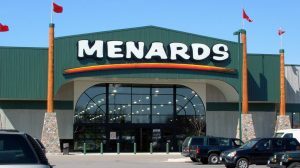 Menards success would have been impossible without the accurate vision of business and an authoritarian management style of John Menard, the company founder. His stringent principles predetermined the Company’s business growth. At present, he is the wealthiest businessman in Wisconsin with a capital of $11.2 billion, and he is ranked 41st in the Forbes list of the richest Americans. For the past 10 years, Menards has been considered as a low-cost leader in the retail industry, offering home goods, materials, and tools. It is known for a vast variety of daily special offers and discounts. While Menards offers different items for home improvement, it also sells food and personal care products. This American network of stores offers various household goods and products. Its main office is based in Oak Brook, IL, USA. The history of the brand began back in 1924 when several owners of small home appliance stores decided to create a Corporation. After more than 90 years, the Ace Hardware brand is still successfully developing and growing. The first time the turnover of this chain reached $1 billion was in 1985. By 2019, the Company operated 17 distribution centers in the US, as well as 4,800 retail points in 60 other countries. It is the world’s largest equipment trade company and the largest non-food American retail chain providing impeccable service and offering its customers a variety of products for their homes, gardens, and adjacent territories. Here, you can purchase electrical power tools, products for plumbing, lighting, gardening, and much more. 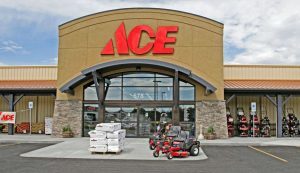 In general, the range of offers in the Ace Hardware stores is very diverse and includes more than 12,000 different items. Now, the Company actively promotes its products for both professional builders and those who are new to repairs or remodeling. 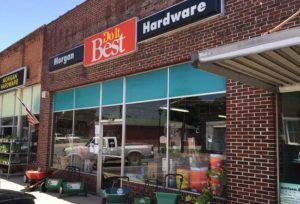 The “Do It Best” Company, formerly known as Hardware Wholesalers, Inc., is known for its hardware, lumber, and building materials. Arnold Gerberding founded the Company in 1945 in Fort Wayne, Indiana. This retail chain has thousands of affiliates throughout the US and in 52 other countries. Its total turnover is $3.2 billion. Regular consumers find it a worthy alternative to larger hardware stores because of its policy to provide the same items along with different customer-focused offers and discounts. At present days, the Company has become more focused on online sales, offering online purchasing options for the products previously available only in large home improvement centers. The Corporation is continually investing in the enhancement of its online sales quality by adding new products, expanding the categories of goods, and making its customer service better. 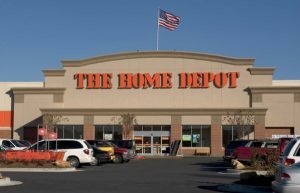 In addition to the noted above retail giants that offer everything for home improvement, you can find some less known stores that belong to the same category of products. In this way, the big stores of the Sherwin-Williams Company offer building and painting materials. The Tractor Supply Company (TSCO) is a US retail chain of stores that offer products for home improvement, lawn and garden maintenance, as well as for livestock, horses, and pets. BMC is also a well-known network of home improvement shops, found mostly in the West and Southeast of the US, that offer different goods and products for housing works, as well as professional services of architects, designers, painters, tile-layers, bricklayers, etc.